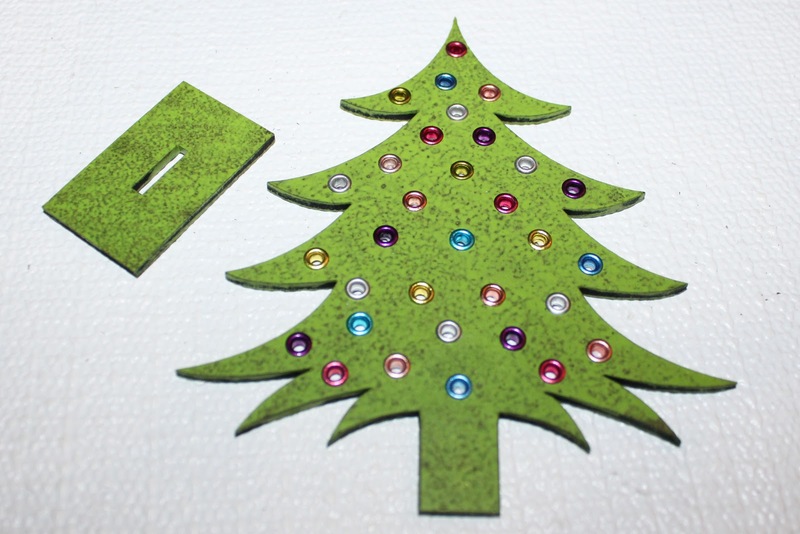 Time to make an 'earring tree' :). 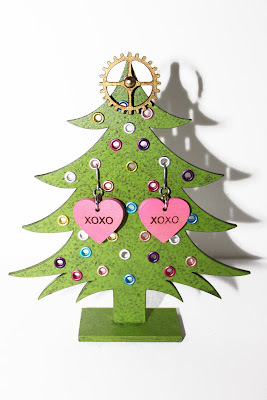 To make this sweet tree that can also double as an earring holder for gift giving all you need is a Large Fancy Stand-Up Tree With Holes (the Small Trees would also work and have the same size holes or try a Traditional Tree), multi-color metallic eyelets (or any other standard 1/8" eyelets), Mod Podge or a similar adhesive, a Masonite Gear, Extra Long Art Brad, and some acrylic paint. For the earrings you will need Small XOXO Charms with one charm hole, jump rings, and some simple ear wires. 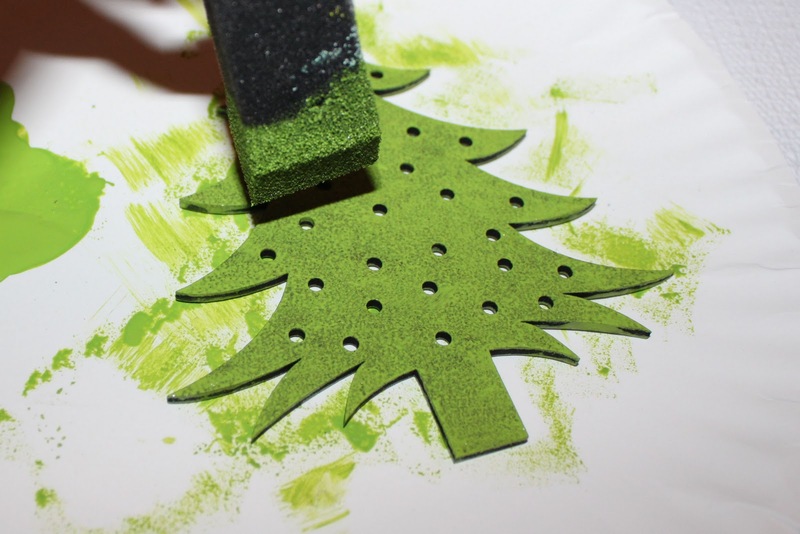 I began by painting my tree using acrylic paint and a sponge brush. I dabbed/blotted it on to create some texture. You could also create some texture using the end of a paint brush or a scrunched up paper towel. I painted both sides and the base. Allow to dry fully. Look at that awesome texture! 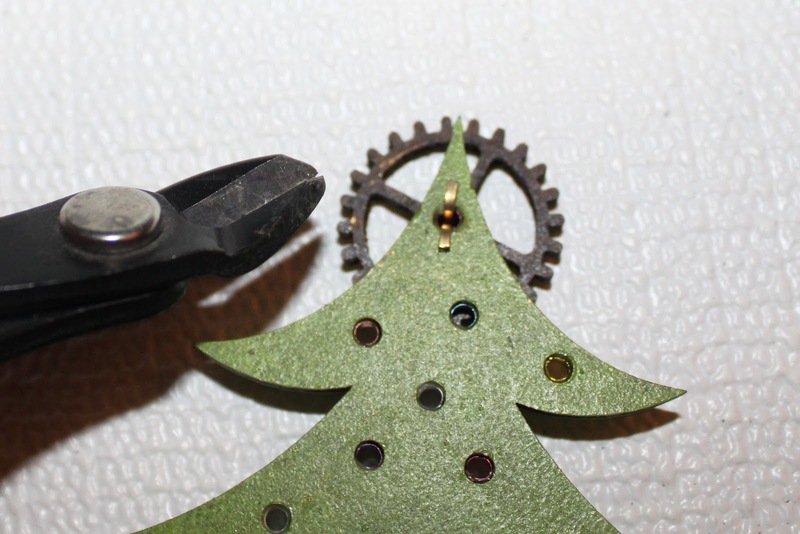 The eyelets aren't long enough to set, however gluing them looks just as nice and is much easier. I used Mod Podge to glue in my metallic eyelets. Use a pin or toothpick to add some Mod Podge to one of the holes and then drop in the eyelet. Repeat for all of the holes. The metallic eyelets remind me of the vintage mercury ornaments! Next glue the tree to the base. I used Mod Podge, but just about any glue will work. 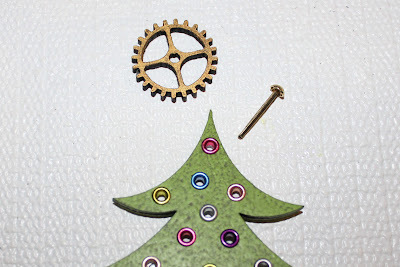 For my 'star', I used a Masonite Gear colored with Inca Gold Gilders Paste. You can also paint them with acrylic paint. I wanted the gear to spin (yay!) so I attached it through the top eyelet using an Extra Long Art Brad. Open up the brad on the back and snip down the ends using wire cutters. The earrings are super easy. 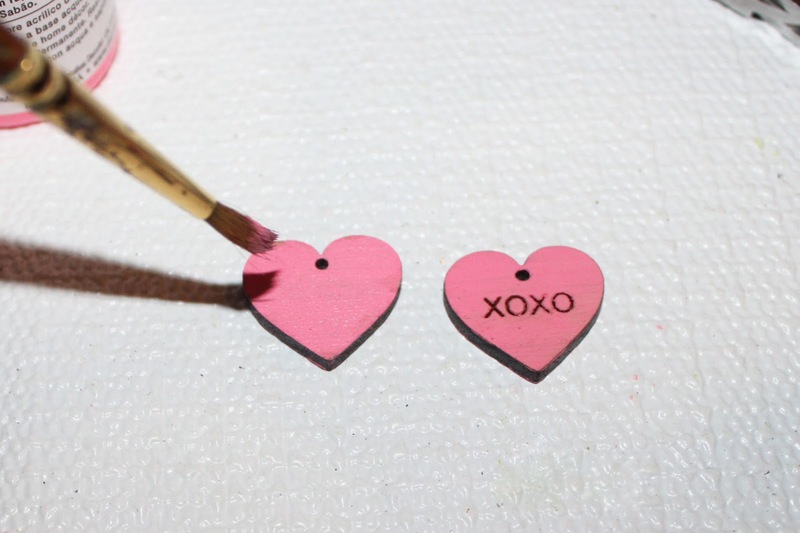 Simply paint some Small XOXO Charms using you choice of acrylic paint. Attach 2 jump rings (so they will face the right way) and some fish hook ear wires and you're set. 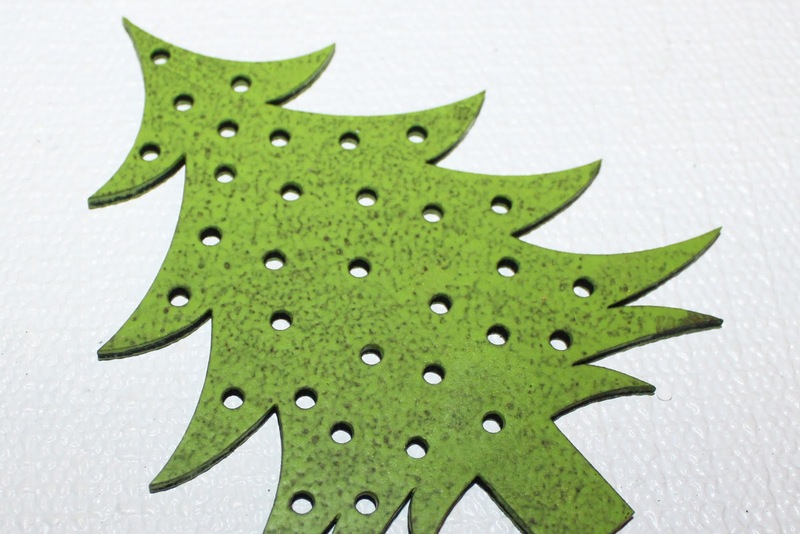 Hang them on your tree and you have a lovely gift for yourself or someone special. If you prefer post earrings you can make the earrings using the Small XOXO Charms without holes and our Earring Post Blanks. 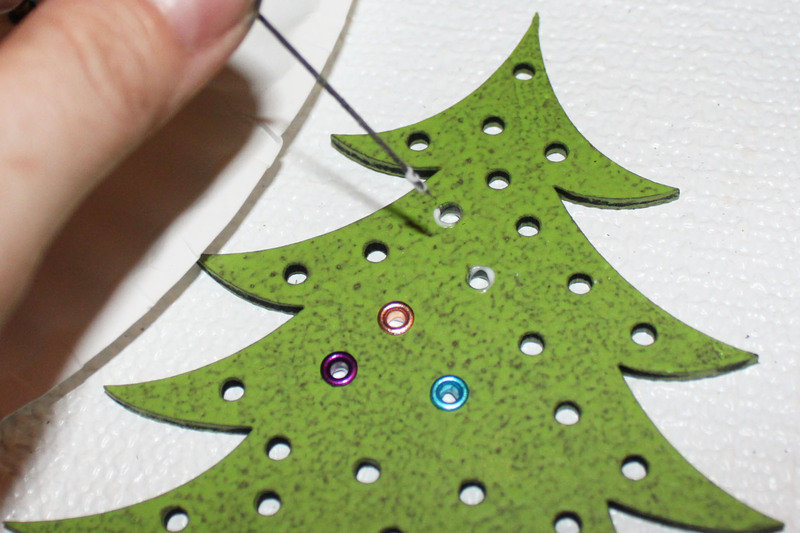 After painting your charms attach them to the posts using E6000. So there you have it! Earring holders can be a piece of art too! You just need a few supplies: Large Fancy Stand-Up Tree With Holes (the Small Trees would also work and have the same size holes or try a Traditional Tree), multi-color metallic eyelets (or any other standard 1/8" eyelets), Mod Podge or a similar adhesive, a Masonite Gear, Extra Long Art Brad, and some acrylic paint. For the earrings you will need Small XOXO Charms with one charm hole, jump rings, and some simple ear wires. Too cute and so, so easy! Fabulous project. I love that it's relatively easy and uses an eyelet stash! Great tutorial. 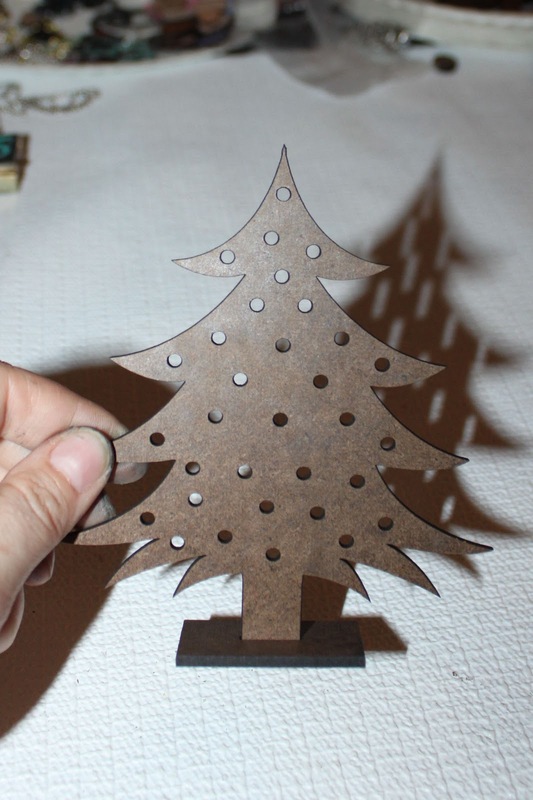 The tree is lovely and would be very useful even for self! :) Thanks for sharing the idea. So cool! 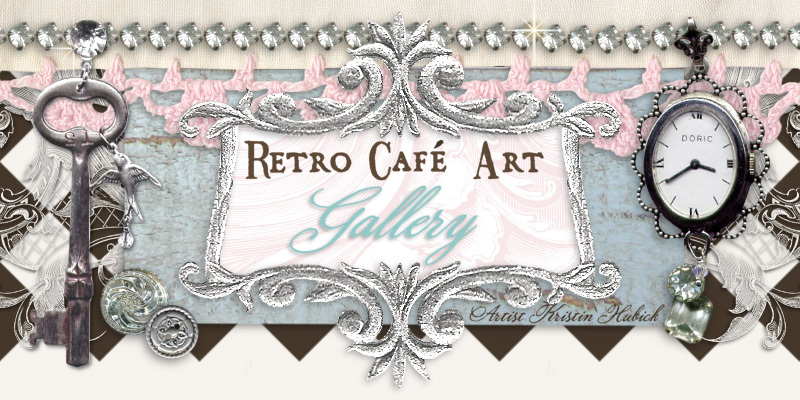 This looks like a project my daughter and I should do together - she's the earring girl! How fun! Great idea...soooo very cute too!